Guidi Anniversary: this year, our company celebrates its first 50 years. 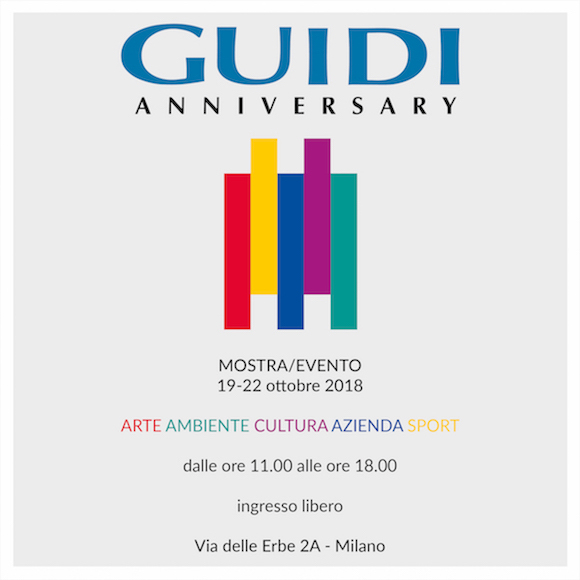 We invite you to the exhibition-event “Guidi Anniversary” organized for this important anniversary: an immersive journey through art, environment, culture, company, sport. The exhibition will remain open from 19th to 22nd October, from 11.00 to 18.00. The space is located is in the beautiful Brera district in the heart of Milan, Via delle Erbe, 2A.